The Hon. Colin H. Campbell, M.L.A. for Morris and Minister of Public Works in the Rodmond P. Roblin Ministry, was stricken by a severe illness on February 15, 1913, the very day on which the session of the Manitoba Legislature was prorogued. Hoping to benefit from the traditional cure of rest and sunshine, the Minister travelled to Kingston, Jamaica, where he, unfortunately, almost immediately suffered from an attack of paralysis. Following a considerable amount of time spent in the care of medical authorities in the Eastern United States, the Minister and his ever-present wife, Minnie Julia Beatrice Campbell, journeyed overseas in the continuing search for medical relief. There, they spent the winter of 1913-1914 and what proved to be the majority of his remaining days. Despairing of hope for a full recovery, the Hon. Colin and Mrs. Campbell returned to Manitoba in the late summer. He died shortly thereafter on October 24, 1914, at the relatively young age of fifty-four. While Colin Campbell was absent from Manitoba, several Manitoba politicians wrote with varying degrees of frequency in an effort to keep the absent Minister informed of developments within his home province. In view of the scarcity of primary sources for that particular political era, the letters written to Colin Campbell during his period of absence are of value and interest to the historian. The fact that several of these letters were written by Premier Roblin in what proved to be a crucial stage in his political career means that they are even more of interest to the reader today. Everything is moving along here in the same way ... I am going in a few minutes to Elm Creek; expect to dig a ditch or build a road to suit some of my friends and constituents before I return. Premier Roblin’s next letter of September 9, 1913 was also full of confidence and reassurance. The harvest was underway and it was “undoubtedly the best in the history of Western Canada.”  The Parliament Buildings were under construction and they were “sinking the caissons now.”  The political scene still remained calm for, as Roblin noted, “The Free Press has not had any spasms for several days, but I suppose it will break out in a violent one soon, as it is impossible for them to remain passive for any length of time.”  Finally, Roblin noted some concern for his own health (he had taken the baths at the Elmwood Sanitarium  for his lumbago), and that he was delighted with the news that Colin Campbell was expected to be back at his duties in four or five weeks. Before those few weeks had passed, there was to be another Roblin to Campbell letter, dated September 25, 1913, containing the first ex-pressed concern for the political future of the Government. We held a Council Meeting this morning, and I read your letter. It was quite disappointing, as we had counted definitely, as you had stated, that you would return in October. Mr. Coldwell  feels the work and responsibility of his dual position is rather more than he feels he can satisfactorily discharge, but they all agree that you are absolutely right in not taking any chances on your health. Campbell’s continuing ill health and the approaching general election combined to cause considerable anxiety for Premier Roblin and his colleagues. As Roblin indicated in his next letter of October 6, 1913, the gravity of the situation was increased by the fact that Colin H. Campbell was generally regarded as the second in command to the Premier. Since I wrote you last we have had many and serious Council meetings. Your statement that you would not return until next summer completely upset every member of the Government, including myself. You know the extent to which myself and colleagues depended upon you in the past, particularly when the House was in Session. No other member of the Government except myself ever pretended to have courage or knowledge to justify leadership. For this reason, and in view of the fact that I have already two or three times in the past been unable to be present in the Session, and I am even now in not any better health than I ought to be, it has caused us to study the situation carefully. This was forced on us more particularly from the fact that the next Session will in all probability be the last before the General Election, and will necessarily be, if the usual tactics of the Opposition prevail, a bitter one. If anything did happen you can understand the condition the House would be in. In fact, every member of the Government say they cannot or will not go on without some man taking your place who is at least quasi qualified for leadership. It is a very sad and heart rending thing for me to say after our long years of closest and most cordial relations possible, but it is forced upon me, and I am sure you will, with that usual good judgment of yours, accept the situation philosophically. In a word, it has been decided that we must take in another man to take your place. They will not convene the House as the Cabinet is now constituted. The names discussed are Aikins, Montague, W. J. Tupper, Sanford Evans, in the respective order in which they are set down. I, therefore, think that you had better send me your resignation as a Cabinet Minister, so that I can strengthen the situation as best I can. Realizing that no matter who I get, it will never be as satisfactory and as strong as it was when you were able to sit by my side and not only supported me when necessary, but to pick up the standard and carry it yourself when I was disabled. My suggestion is that if you do not feel that you can stand the excitement incident to political life, that you hold yourself available to the Lieutenant-Governorship,  which will be vacant soon after you return, and which would give you every claim for honors from His Majesty. This, I am sure, could be arranged, although I have not told Rogers  or a living soul of my difficulties or of your condition. I repeat that I am worried beyond expression at your continued ill health and your inability to take your old place. I am delighted that you are making progress, and if you come back able to take a place in the Government I shall certainly make provision for the Government party to secure the services of your splendid ability in the future. That the Minister resigned promptly in response to the above request is evident from the Premier’s next letter of November 10, 1913, in which he referred to the resignation received about a week before. Campbell’s resignation as Minister of Public Works had been followed by the immediate appointment of Dr. Montague  to that post. There still remained the problem of finding a seat in the Legislative Assembly for the new minister. The sincere sadness of a Premier who had experienced the distasteful task of requesting the resignation of his principal lieutenant was apparent in this letter. In addition there was an awareness that his own personal role in Manitoba politics was nearing its end. When Roblin wrote next on January 9, 1914, the challenge of the by-elections had been successfully overcome,  and the Legislature had been in session since December 11. While the Premier reported that the session had not as yet “excited any interest”,  the major problem then before the Government (but not yet before the Legislature) was a matter of considerable significance. Re-distribution was to precede an election in 1914 and there were many factors to be considered. So far, there has been no proposition to change Morris ... However, after your letter, which indicates that you do not hope to contest it again, we will have another conference with Haig and others, and see what can be done to benefit everybody. Roblin wrote again just ten days later in response to a letter just received from Campbell. As with the previous correspondence, this letter was friendly and informative. However, there was less of political significance on this occasion. The fact that this letter was written so soon after the earlier one of January 9, 1914, could be the explanation. One suspects, however, that the relationship between Roblin and Campbell was slowly changing as it became increasingly evident that they would never be cabinet colleagues again. There was, however, still political news of a rather general nature. Finally, there was a somewhat patronizing reassurance for the ailing politician that he could still be of value to his party. As time passed so did the close relationship that had existed between the absent Campbell and the Manitoba Government. The Premier wrote his last letter on April 21, 1914, some three months later. In this letter Roblin clearly was writing to someone who was then quite removed from the political scene. There was rather depressing news of old friends. Inevitably, politicians writing to politicians must refer at some point to politics. This last letter was no exception, and in it is to be found the still present optimism for the future. Finally, there were a few words on an issue that would prove to be most significantand more damaging to the Roblin government than the Premier foresaw. The election results of July 10, 1914, presumably caused more “consternation” in the Conservative party than they did in the “other camp”. There is no record of any letter from Roblin to his ex-colleague after that fateful date and it remained for an old friend and the ex-Premier, Hugh John Macdonald, to convey details on the political misfortunes of the Conservative party. 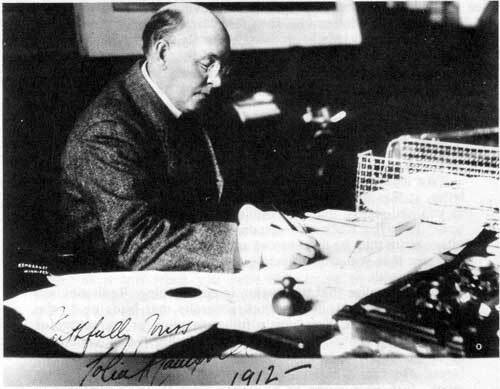 The Campbell’s return to Winnipeg a few months before his death on October, 1914, terminated the correspondence of the preceding months. The historical significance of that correspondence lies both in what was said and what was not said. Premier Roblin, for example, had expressed initial concern as to the strength of his Government. His “right bower” was to be absent during important months preceding the 1914 General Election. The Premier also expressed concern for his own health (as did Hugh John Macdonald after that election) and, on one occasion, he seemed to envy Campbell’s detachment from the strain of office. On the other hand, the Premier did not display any real awareness of the significance of the issues that were before the Legislature and would soon be before the electorate. He wrote without any apparent doubt that he, and the Government, were successfully resolving the questions of temperance and compulsory education. The Grits, he confided in Campbell, were divided and Norris’ position as leader was insecure. The Government was perhaps relying on the traditional techniques of electioneering. “Ditches were being dug” and redistribution had been presumably completed satisfactorily. The Government was, indeed, optimistic about its electoral future. There was no expressed awareness of what the 1914 election was to bring. One might suggest that Premier Roblin purposely underestimated the significance of these political problems in order to avoid alarming his ailing colleague. He had not, however, refrained from expressing his earlier concern when he wrote of his own health and the weaknesses of the Cabinet. One can conclude, therefore, that Premier Roblin was unaware of the extent of the political opposition that was developing in Manitoba when he wrote his last letter to “My Dear Campbell” on April 21, 1914. Whether he remained unaware as his Government went to the polls on July 10, 1914, is unknown. It was the expressed opinion of Hugh John Macdonald that he did. If one does conclude that the Roblin Government was largely unaware of its own weaknesses on the eve of the 1914 General Election, there remains the difficulty of explaining such unawareness. Could part of the answer be the absence, during those crucial months preceding that election, of Roblin’s “right bower”? One suspects so. 1. Rodmond P. Roblin to Colin H. Campbell, July 9, 1913, Colin H. Campbell papers, Correspondence May-September 1913, Public Archives of Manitoba (hereafter cited as P.A.M.). 2. The frequent reference to crops and harvest conditions undoubtedly reflect both the political and economic significance of agriculture in Manitoba in 1913-1914. 3. The reference to Kelly and the Parliament Buildings contract does not indicate any “special” relationship between Kelly and the Government. 4. The implication is that Roblin regarded party organization as his own personal responsibility. 6. Roblin to Campbell, September 9, 1913, Colin H. Campbell papers, Correspondence May-September, 1913, P.A.M.
10. The Hon. G. Coldwell, M.L.A. for Brandon and Minister of Education, had been Acting Minister of Public Works in the Hon. Cohn Campbell’s absence. 11. Roblin to Campbell, September 25, 1913, Colin H. Campbell papers, Correspondence May-September 1913, P.A.M.
12. John T. Haig was a prominent Winnipeg Conservative and, evidently, a close friend of Colin Campbell. 13. Sir James Aikins would become Lieutenant-Governor in 1916. Aikins, M.P. for Brandon since 1911, was one of those mentioned earlier as a possible successor to Campbell. He did become leader of the Conservative party in 1915 after Roblin’s resignation. 14. The Hon. Robert Rogers was then Minister of Interior in the Borden government. Matters of patronage for Manitoba were clearly his responsibility. 15. Roblin to Campbell, October 6, 1913. Colin H. Campbell Papers. Correspondence, October-December, 1913. P.A.M.
16. Dr. Montague has been listed as the cabinet’s second choice in the letter of October 6. There is no explanation as to why Montague was appointed rather than James Aikins, the expressed first choice. 17. Roblin to Campbell, November 10, 1913, Colin H. Campbell Papers, Correspondence October-December, 1913, P.A.M.
18. Ibid. It would appear that Roblin’s poor health might well have led to retirement in the near future, irrespective of any question of political impropriety. 19. Roblin to Campbell, December 1, 1913, Colin H. Campbell Papers, Correspondence, October-December 1913, P.A.M.
20. Roblin to Campbell, December 1, 1913, Colin H. Campbell Papers, Correspondence October-December 1913. P.A.M.
21. Roblin reported that Dr. Montague had won the St. Andrews and Kildonan by-election by a margin of 418 votes. In addition, the Government party had also won a by-election in Macdonald constituency, with the majority of 923 being “a very considerable increase over the last one.” Roblin to Campbell, January 9, 1914, Colin H. Campbell Papers, Correspondence, 1914, P.A.M.
23. J. C. W. Reid was the Conservative M.L.A. for Deloraine. In the 1910 General Election he won the seat by a margin of six votes over his Liberal opponent, R. S. Thorton. Presumably. Roblin was attempting to strengthen Reid’s position although the phrase “fix Reid permanently” is somewhat ambiguous. In any event, Reid lost the seat in 1914 by a majority of 204 votes. 25. The Premier notes that he had that day, for the first time, abandoned his summer overcoat for winter attire. 26. Krafchenko’s arrest, his later escape, and his eventual execution, was of much interest to Manitobans in 1913-14. 27. Sir James Whitney, Conservative Premier of Ontario, had been seriously ill since December. He died on September 25, 1914. 28. It would appear that Cairo met the needs of winter-weary Manitobans in pre-World War days as does the southern United States and like areas now. 30. T. C. Norris, M.L.A. for Lansdowne, was elected House Leader in 1909 and Liberal party leader in 1910 on the eve of the election. 31. Roblin to Campbell, January 19, 1914, Colin H. Campbell Papers, Correspondence, 1914, P.A.M.
32. Ibid. The amendment in question would fail to convince the electorate that the Roblin administration was taking the necessary steps to ensure a universal and unilingual educational system. This failure proved to be a major issue in the 1914 General Election. 34. Roblin to Campbell, April 21, 1914, Colin H. Campbell Papers, Correspondence 1914, P.A.M.
35. Sir William Whyte was vice-president of the CPR when he retired in 1911. He had been a prominent citizen of Winnipeg for many years. 37. The Liberal opposition would win 21 seats in the 1914 General Election. They had 13 members in the House at the time when Roblin was writing this letter. 40. Hugh John Macdonald to Hon. Colin H. Campbell, July 17, 1914, Colin H. Campbell Papers, Correspondence 1914, P.A.M.
41. The Roblin Government insisted that the Coldwell Amendments of 1912 were designed only to clarify certain sections of the School Act. Many critics believed that the Amendments were designed to re-introduce certain aspects of separate schools into Manitoba. 43. Ibid. The letters suggest, but do not prove, that one of the major factors in the Roblin Government’s setback in 1914 was its failure to perceive a fundamental change in electoral attitude. 45. Ibid. This is an interesting comment in view of the fact that so little is known of the relationship between these two men. Macdonald might well have envied the political success of Roblin who replaced him as Premier in 1900 while he, Macdonald, was to end his political career in the futile attempt to defeat Clifford Sifton in Brandon.